Amigos de Jesús shouldn’t have to exist. Every child should grow up in a home with the parents who brought them into the world. Every child should have their basic needs met within their own household. Every child should have a right to love, safety, and encouragement. Sadly, the world that we live in is not a just or fair one, and these rights are not always validated. For this reason, we are extremely blessed that Amigos de Jesús DOES exist. First, everyone gathers around the front ‘portón’ (gate) in anticipation and excitement. Next, the kids are welcomed with cheers and clapping as they walk into their new home. Lastly, the kids are walked to their new homes and shown around. There’s usually a crowd of people surrounding the new kids following their entrance, because everyone is so excited to get to know their new family members! Moving forward from this first day, the adjustment process varies. However, watching the children grow throughout their first few weeks and months never fails to be a beautiful process. I’d like to tell you a bit about what I observe from a volunteer’s perspective throughout this time. First, as you can see in the pictures above, the kids usually come in a bit hesitant and shy. There is a lot of newness upon walking through that front gate. A new place to live, a new system to follow, lots of new faces and names to learn, and a new way of life that all lies ahead of them. For this reason, the kids often come in a bit overwhelmed and quiet. Luckily, all of the children here know exactly what they are feeling, and they are experts at welcoming in new children and showing them around their new home. 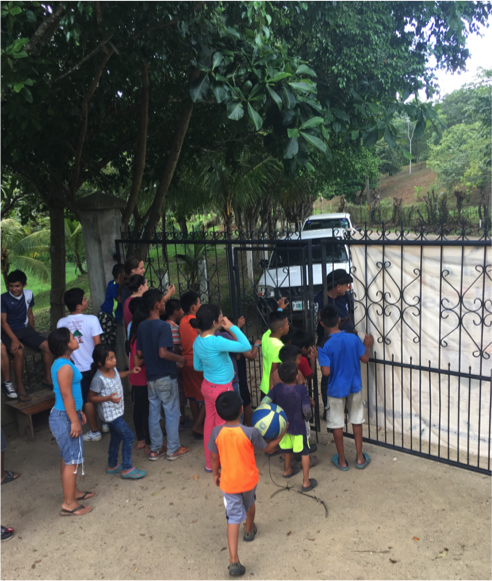 It’s heart-warming to see the excitement from children when they hear that a new child will be moving into their ‘hogar.’ Recently, I was able to witness and partake in this joy. I happened to be in a home for dinner when they announced that two new children would be moving in the following week. Shouts of delight and cheering rang throughout the house. The kids were hollering and clapping with smiles that radiated glee. And I was right there with them, clapping and smiling by their sides. After dinner, the home began shifting around beds and furniture and cleaning the house in order to get ready for the new children. We cranked up the music, and everyone helped clean with joy and anticipation. This is the environment new kids walk into—one of genuine excitement for their arrival. Once they are through the gate, they are swept off to their new home and introduced to their personal bed and space. From here, each transition is different. Some come to Amigos on their own, while others come in with siblings, or are reunited with siblings. Some are ready for school, and others need a little more time to adjust. Some are ready to run around outside and play right away, while others keep to themselves a bit longer as they get to know people. Sometimes new children don’t want to talk at all upon arrival, and others are ready to let their personalities shine. Whatever the differences, we accept them all exactly where they’re at. Suyapa welcoming some of our newest family members home on their first day at Amigos. 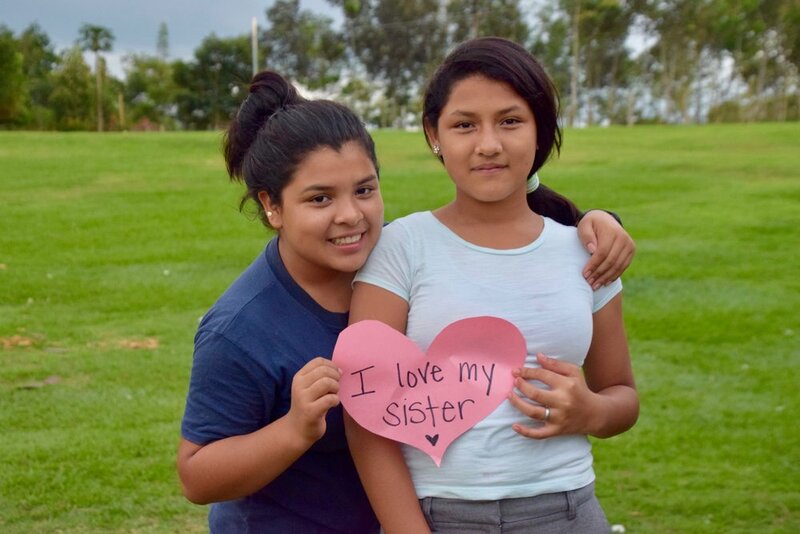 One commonality that I’ve seen repeatedly is the change that happens in the child once it sinks in that he or she is loved and safe here at Amigos de Jesús. Suddenly, you see their personalities and quirks come out. The other day, a new child came over to me and said, “And my hug, Miss?” with his arms outstretched and a look as if to say, “How could you forget?” even though we’d never hugged before. Another has begun hugging each volunteer and adult that she sees and having short conversations with each. A week ago, she wouldn’t say anything to anyone, but now she’s dancing Zumba with the rest of us and even cracking jokes! And that’s where the beauty lies. When these children feel loved here, their response is to give it right back…and to everyone that they see! This is a great phase in a child’s transition. They seem to hug, talk to, and love everyone in their sight. Eventually, they begin to form healthy and deeper relationships with specific people, and this sporadic hugging and loving on everyone will slowly come to a stop. But this is not a bad thing, it’s only a transformation of the beauty. The children attach to their ‘madrinas’ and ‘padrinos’, their other housemates, and their teachers. These relationships continue to supply the children with care and attention, while also giving them the space they need to heal and grow. 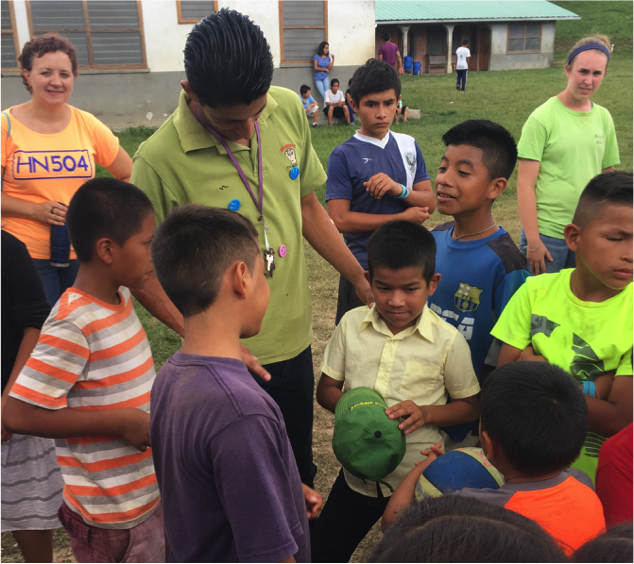 Please continue to pray for all of our kids, especially the children transitioning into their new lives here at Amigos de Jesús. We invite you to walk with us in prayer as we follow the cross to find hope.